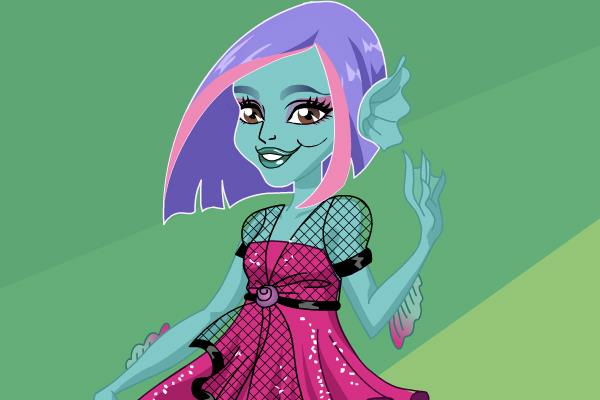 Monster High Grimmily Anne McShmiddlebopper is a teen celebrity. Her looks and name are inspired by Emily-Anne Rigal, the founder of the WeStopHate movement. Grimmily Anne is very kind and a good friend. She really wants people to get along. Dress Anne Up in a colorful way in this amazing dress up game.